The technology group Wärtsilä strengthens its customer service and handling of customer enquiries with the launch of the global Wärtsilä Customer Support Centre (CSC). The new global Wärtsilä Customer Support Centre provides all Wärtsilä customers with easily accessible, transparent, and high-quality support. In addition to the existing support channels, the Wärtsilä Customer Support Centre responds to all enquiries regarding any products and solutions belonging to the Wärtsilä family, such as spare parts, field services, technical support, and Wärtsilä Online Services. 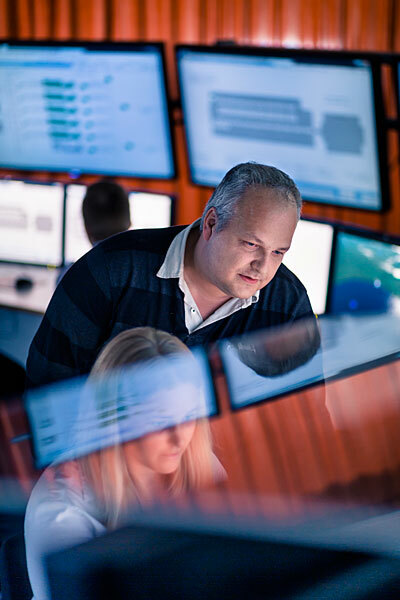 The global Wärtsilä Customer Support Centre ensures that Wärtsilä is always available to serve its customers in all operative questions and needs – big or small, technical or other, and all Wärtsilä brands included – with fast response times and transparent progress reporting. As an additional customer support channel, it complements contacting, for example, the Account Manager or other appointed Wärtsilä contact persons. During business days, the Wärtsilä Customer Support Centre can be reached around the clock via several channels and Wärtsilä Online Services. During non-business days, the Customer Support Centre is available via phone. “Enhanced availability and usability of customer service result in an increased peace of mind and increased customer satisfaction. With the fast technology- and acquisition-driven expansion of Wärtsilä products and services, the Wärtsilä Customer Support Centre enables our customers to concentrate on their core business,” says Pierpaolo Barbone, President & EVP, Wärtsilä Services. The piloting of the first Customer Support Centre of Wärtsilä in Americas started in January 2016, followed by the introduction of three additional Customer Support Centres. After a two-year period of expanding the new service approach country by country, the Wärtsilä Customer Support Centre reached global scale at the beginning of December 2017. The 24/7 phone support is now available, allowing convenience and availability as well as asset lifecycle optimisation for the customers of Wärtsilä. “The Wärtsilä Customer Support Centre has already solved over 10,000 operative enquiries from all around the world and received great feedback from Wärtsilä’s customers,” says Tommi Soini, General Manager, Customer Support Centres of Wärtsilä Services. The global team of dedicated and skilled customer support experts have an extensive background and hands-on experience from Wärtsilä, in addition to understanding customers and their evolving business needs. With the help of the Customer Support Centre, Wärtsilä can now offer even better customer service experience, combining traditional support channels with more modern digital ones. This combination makes it also easier for customers to adopt the digital solutions that Wärtsilä will offer in the future.